Join the Orange County Chapter of the International Association for Near Death Studies for their Monthly Speaker Meeting. Anita Baroldi is a pilot, educator and service coordinator for NOA ( No One Dies Alone). 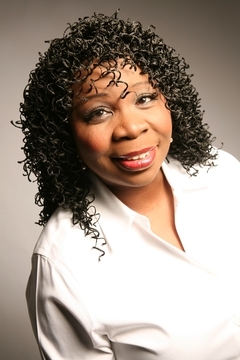 Anita was born in Chattanooga, TN and graduated from College with a degree in Education and Psychology. She moved to Los Angeles after graduation and taught High School in mid-city of Los Angeles. She later moved to Orange County and was an Intermediate High School counselor in Santa Ana Unified School District. It was during this period that she experienced two NDE’s from an ectopic pregnancy. This changed her life experience forever. She was hospitalized for over 5 weeks in SICU at Mission Hospital. During most of her hospital stay, she was alone. On the day of discharge, she weighed 72 pounds. After this life threatening event, Anita completed the graduate studies from Pepperdine University and became the Coordinator of Psychological Studies for Santa Ana Unified School District. Later, she became an ATP pilot having flown for over twenty years. All in her past has prepared her and lead to the greatest gift of her life, service as Coordinator of NODA Program (No One Dies Alone). It’s not hospice. She works with people who are dying alone in a hospital or at home, when family members and friends feel ill-equipped with the death process, even if they are themselves trained professionals. Anita describes herself as ‘neutral’, and has faith, compassion, and trust for the ‘Life Process’. She says our culture is very brave, yet fearful of death, and wants to demonstrate to others that our culture can change. When exiting the parking lot, turn Right on McDurmott. Turn Right on Main St.
El Torito will be on the left side of the street after you’ve passed the 405 frwy. Dr. Janet Woods is the new facilitator for the orange county chapter of the International Association for Near Death Studies. This chapter exists for people in the Orange County and surrounding area who have had a near-death and/or related experiences. We also include people who have a personal or professional interest in such experiences. The discussion takes place in an atmosphere of openness and interest/support without judgment, proselytizing, or advice-giving. The group meets on the second Saturday of each month from 1:00-4:00 p.m. in Irvine at the School of Multidimensional Healing at 18271 McDurmott West Suite G. Irvine, ca 92614. UNSUBSCRIBE FROM EMAIL LIST Send an email to askjanet@JanetWoods.com and type UNSUBSCRIBE OC IANDS in the subject line.